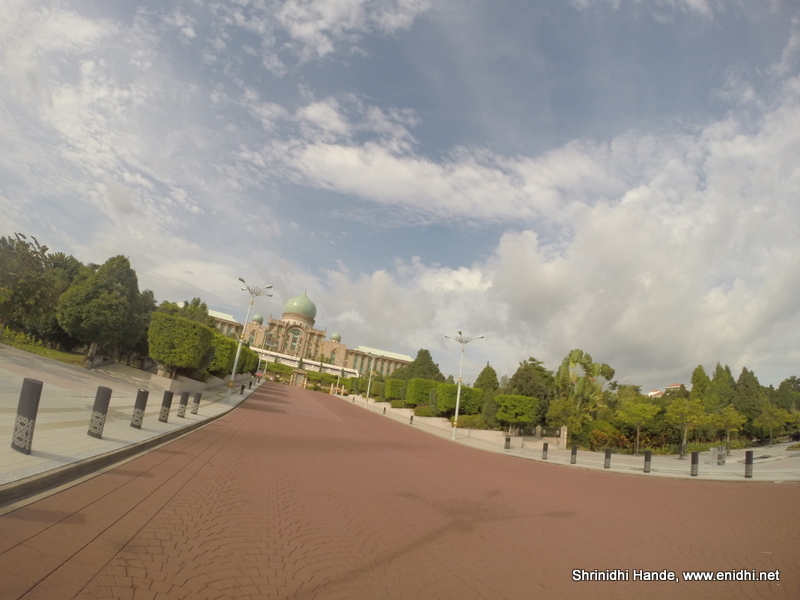 Putrajaya is administrative centre of Malaysia where all critical government office, including PMO are located. When I had 6 hour transit in Malaysia, my friend Sivakanth suggested that I go and check out the nice buildings in Putrajaya. 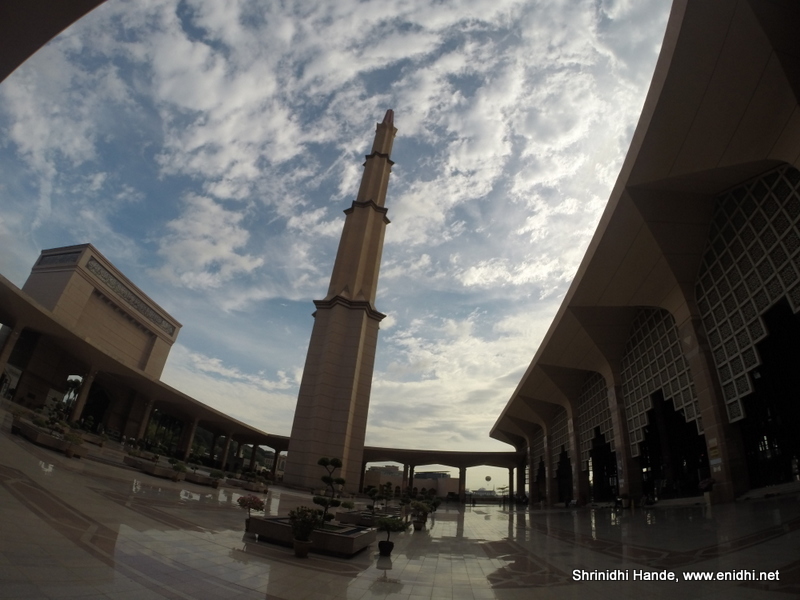 From the airport, I took KLIA transit train to Putrajaya and Cyberjaya station (About 18 MYR). (Do not take KLIA Express- it won't stop) From Putrajaya station I thought I can walk to PMO but everyone suggested it will be far (about 2.5 kms). Grabbed a donut at Dunkin donuts in the railway station and walked to bus stop (Putrajaya Sentral) I didn't know the bus stop name, so I showed the picture of PMO to counter staff and asked how to reach there. They gave me two-three bus numbers, of which I found that 502 is due to leave in about 10 minutes. Bus drivers in Malaysia do not return change- it is passenger's responsibility to supply exact change. I didn't knew this and ended up paying 1 MYR instead of 50 cents fare. I asked driver where to get down for PMO- he asked me to sit and said he would tell me. But as we approached the place it was pretty obvious- the giant building was visible from a distance, so I didn't have to ask. Got down at a stop near PMO. The prime minister's office is a majestic building. With no other buildings around it, PMO stands out strong and is a photographer's delight. Of course visitors can't go inside. 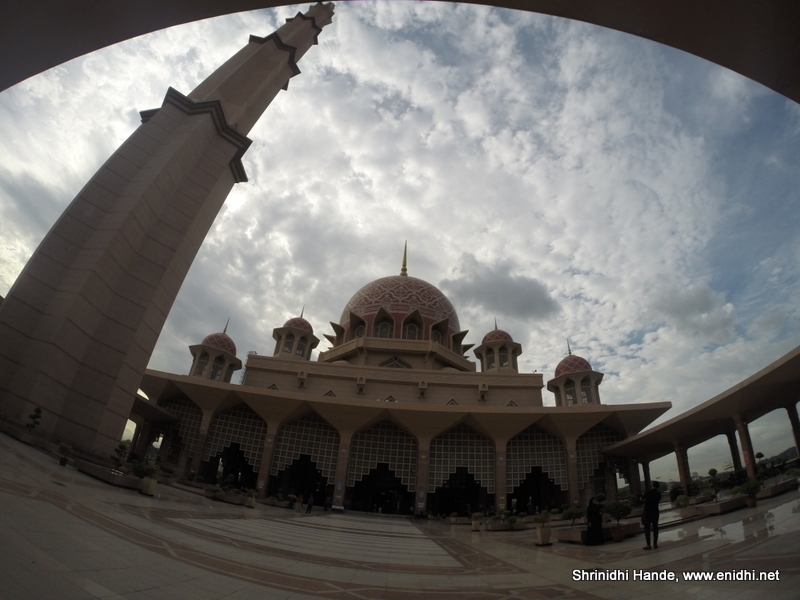 Besides the PMO office, Grand Mosque, also known as Putra Mosque is the other attraction in Putrajaya. It is located adjacent to PMO. Boat rides and river side dining options are available to spice up your visit. Hotel rooms are available if you plan to spend a day here. My visit was in the afternoon. I am sure early morning, late evening and night pictures will be extremely beautiful. If you have half a day transit time in Kuala Lumpur or half a day spare time while visiting Malayasia, check out Putrajaya. 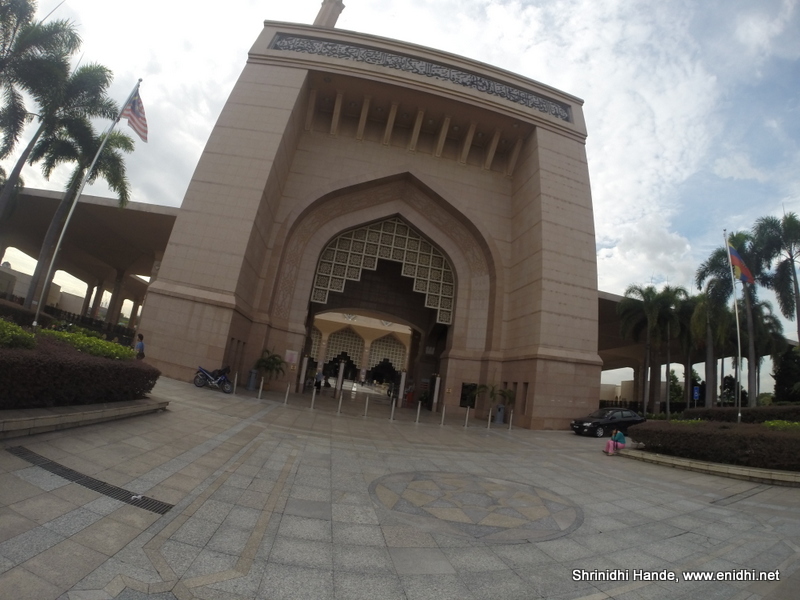 After getting down infront of PMO and exploring the mosque, I didn't get any bus back to Putrajaya central. So I started walking back. (I could have waited, but wasn't sure how long I need to wait) Walked about 1.5 km and finally managed to get a bus. This time I was wise to keep 50 cents coin ready, so could pay exact amount. Amazing, Beautiful photos,Thanks for sharing. Beautiful architecture, magnificent buildings!! I like the tips and quips you provide in every travelogue... these are really helpful and the details of which are not generally provided on travel websites. Thanks Rupam, Munna and Bushra. @Bushra- whatever little notes and observations I have made I share, so that others can benefit. Most travel websites have contents written by people who have never visited the destination in person- they frame articles based on 3rd party information-which won't be first hand or accurate.